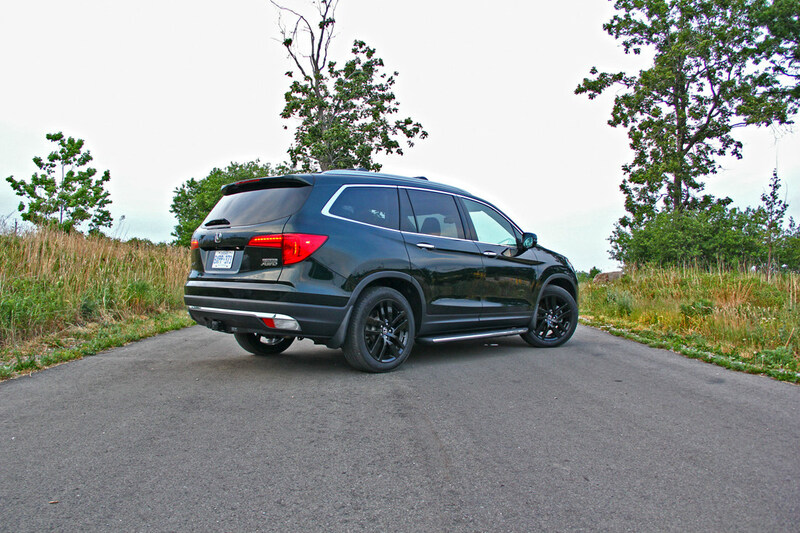 The 2016 Honda Pilot has said goodbye to its old boxy looks. The redesigned Pilot now has a new rounded shape with softer edges for a fresher look all round. It’s also a great substitute for those who are looking for a 7/8 passenger vehicle and not willing to look at the minivan segment. Sitting behind the steering wheel the Pilot feels like a sporty SUV, put it into Sport mode and the V6 growls and makes the Pilot a whole lot of fun to drive. 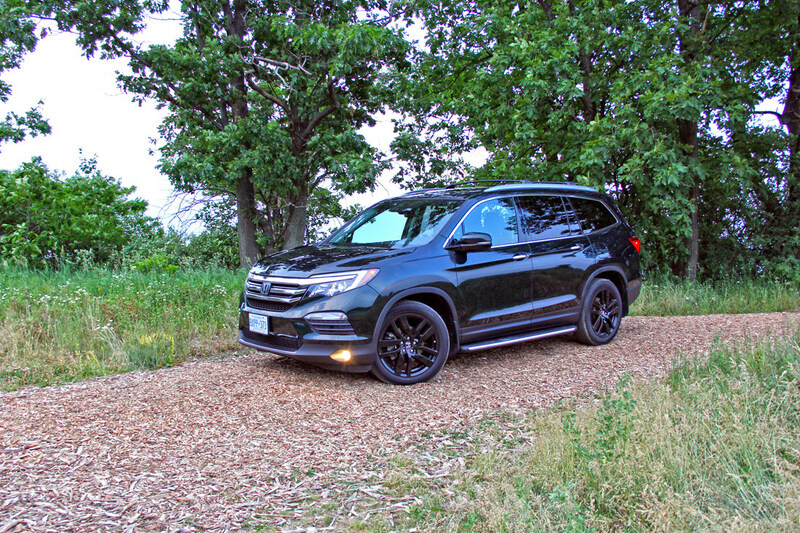 A great SUV for long road trips and hauling the family to the cottage every other weekend, I did just that and took a nicely kitted 2016 Pilot Touring to the cottage for this review. 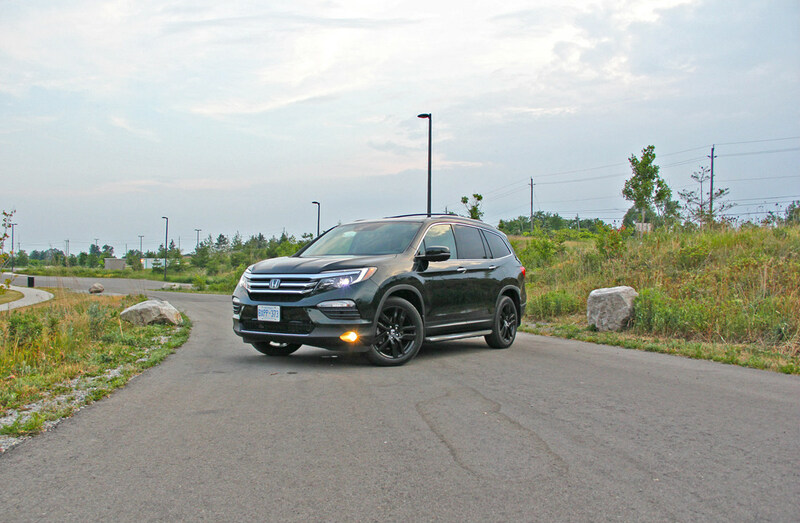 – The 2016 Honda Pilot is fitted with a plethora of safety technologies collectively known as Honda Sense. Adaptive cruise control, lane-departure warning, forward-collision warning with automatic braking, lane-keeping assist, blind-spot warning: You name it, it’s got it. The lane-keep assist on the Pilot is impressive, keeping the vehicle in the lane smoothly and without jerking the wheel unlike some of its competition. On back country roads the system can follow gradual bends with ease. – Comfy front and second row seats. 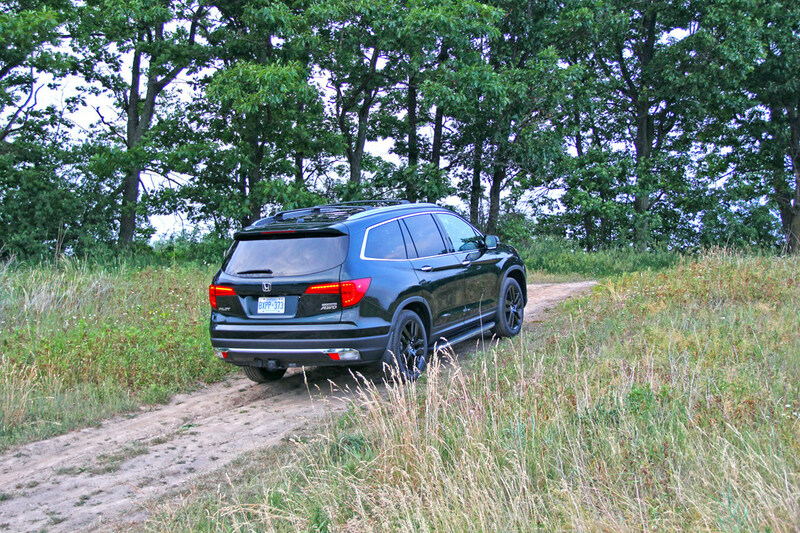 The Pilot is available with a 10-way power adjustable driver seat, heated front and second row seats as well as vented front seats for those hot summer days. If you like the second row captain’s chairs, you will have to upgrade to the Touring or Elite trim in the Pilot. Second row captain’s chairs also take you from an eight seater, to a seven. – Tons of cargo space with and without the third row seats. 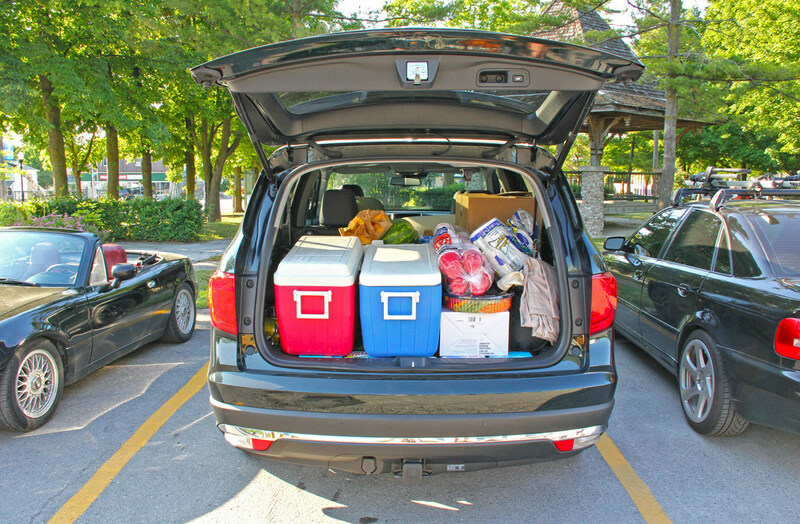 Fold down the third row seats and the trunk space grows to a whopping 1,302 litres. I was able to pack two large coolers, four cases of water, an air mattress and backpacks for two in the trunk for our cottage weekend. – Rounder, Minivan-esque styling. 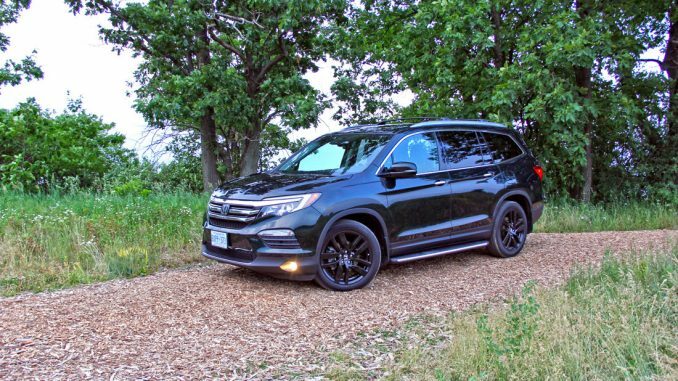 Although the new styling is sleeker and less boxy, the Pilot looks like Honda took cues from their Odyssey minivan and Acura’s MDX, combining them to create this new Pilot. – Infuriating touch screen controls. The Infotainment screen has touch sensitive volume, home and back buttons which require your eyes and both hands sometimes to use them. This gets frustrating while driving and forces you to ask your passenger to take over infotainment controls. Trunk space: 1,302 L with 3rd row seats folded down, 453 L with them up.